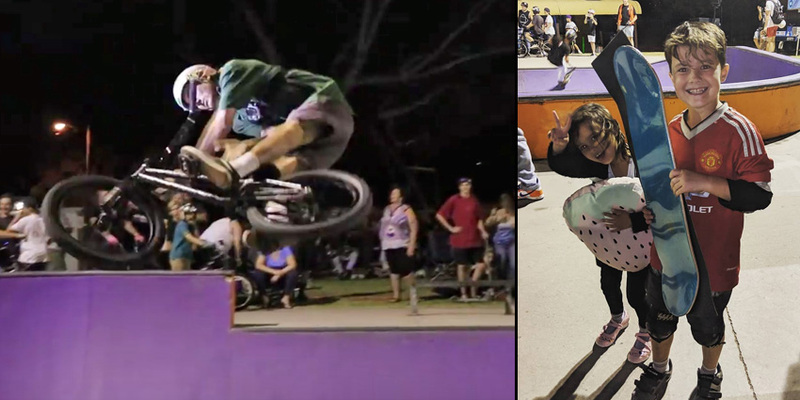 Freestyle Now travels around Australia hosting many skatepark competitions, on this occasion we were in the Western Australian gold fields town of Kalgoorlie to roll out the rad. A great number of competitors came out to win some awesome prizes. 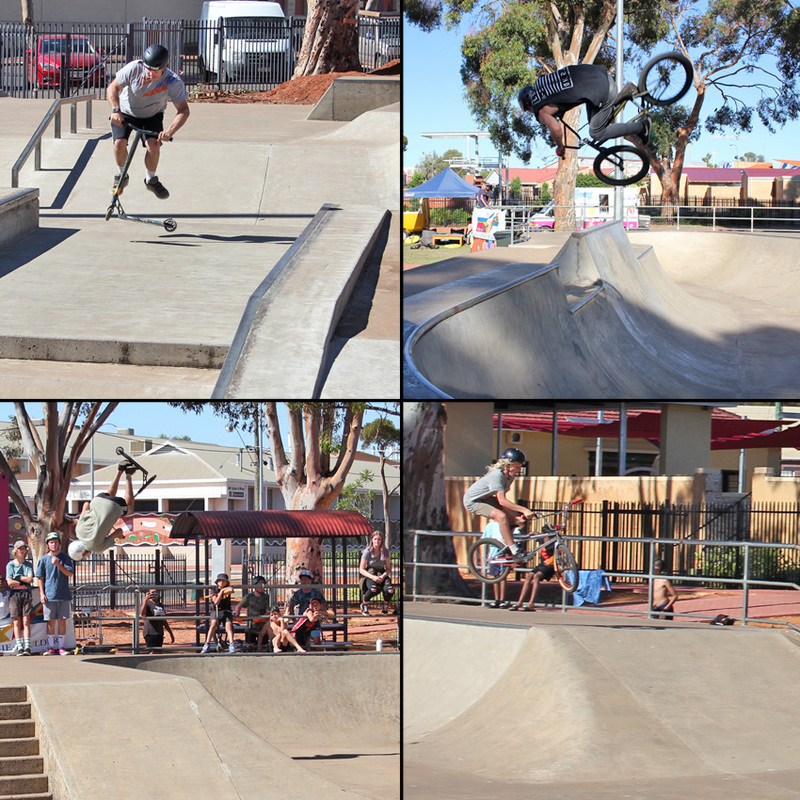 It has been a few years since Freestyle Now was in Kalgoorlie so it was good to be back to see a lot of new riders and some of the older riders still killing it. It was a good turnout of competitors with many spectators coming out to watch the action on the skatepark. Many competitors went home with great prizes. A big thank you to the City of Kalgoorlie Boulder for their support and also to our supporters Kickass BMX, The 4 skateboard company, Modus Bearings, Grit scooter. 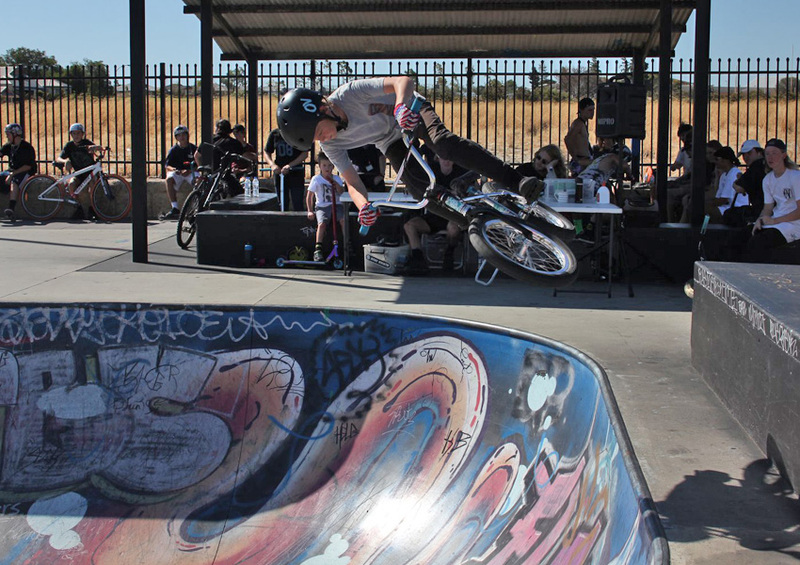 Our next skatepark competition takes place on the 30th January 2019 at the Balajurra skatepark so be sure to check our coming events page for more info. Clockwise from top left – Danny Mayes took 1st in the scooter beginners. It is great to see a father riding the skatepark with his children and entering competitions, great work – Leon Vermey took the first in BMX open with some great skills like this flair in the bowl – Illist Orr won the BMX intermediates, it’s great to see the son of another BMXer who had entered many Freestyle Now Kalgoorlie skatepark past competitions taking the batton and competing in competitions – Jasely Dimet won the scooter open class, backflip 180. More photos can be found on our facebook page here. Scooter beginner – 1st Danny Mayes, 2nd Liam Trott, 3rd Nicholas Shaw, 4th Nate Higgins, 5th Ollie Johnson, 6th Martin Close, 7th Alshay Wright, 8th Ebah Mayes, 9th Nicholas Thomas. Scooter intermediate – 1st Julius Draunikau, 2nd Ash France, 3rd Jaden Oram, 4th Jimmy McCulloch. 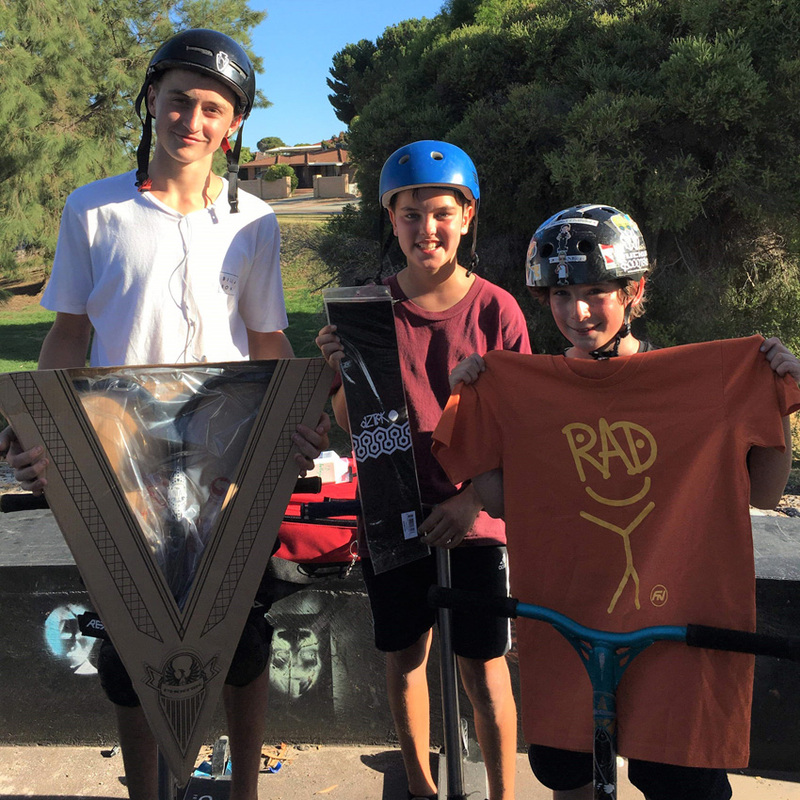 Skateboard beginner – 1st Issac Lund, 2nd Nicholas Shaw, 3rd Jeff Schutze . BMX beginner – 1st Illist Orr, 2nd Nicholas Shaw, 3rd Evo Joseph, 4th Isa Malik. 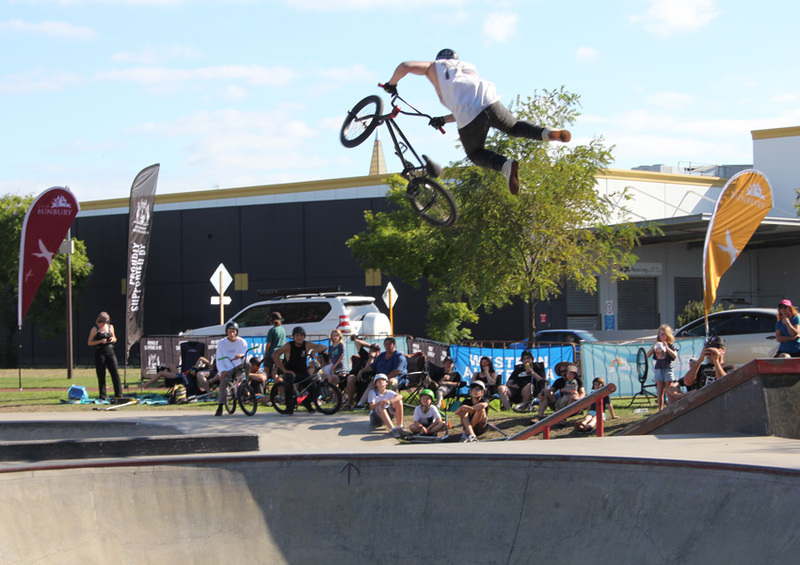 Banksia Grove has recently had a new skatepark opened up and Freestyle Now hosted a bmx, scooter and skateboard skatepark competition on the opening day. It was a good turnout of competitors with many spectators coming out to watch the action on the skatepark. Many competitors went home with great prizes. 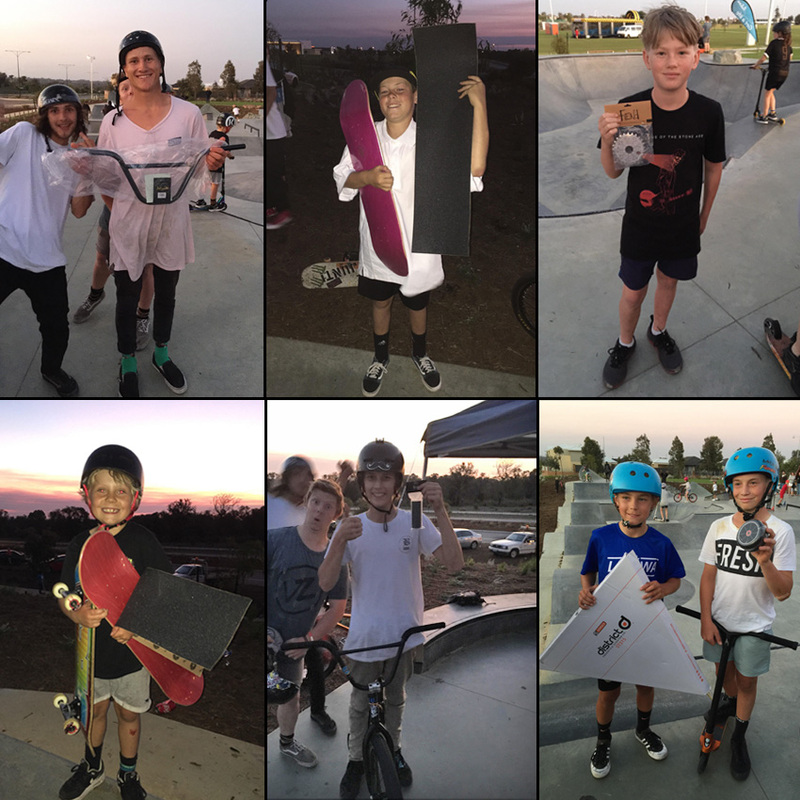 A big thank you to the City of Wanneroo for their support and also to our supporters Kickass BMX, The 4 skateboard company, Modus Bearings, Grit scooter. Our next skatepark competition takes place on the 9th January 2019 at the Ellenbrook skatepark so be sure to check our coming events page for more info. Everyone likes to get prizes. The stoke is high. 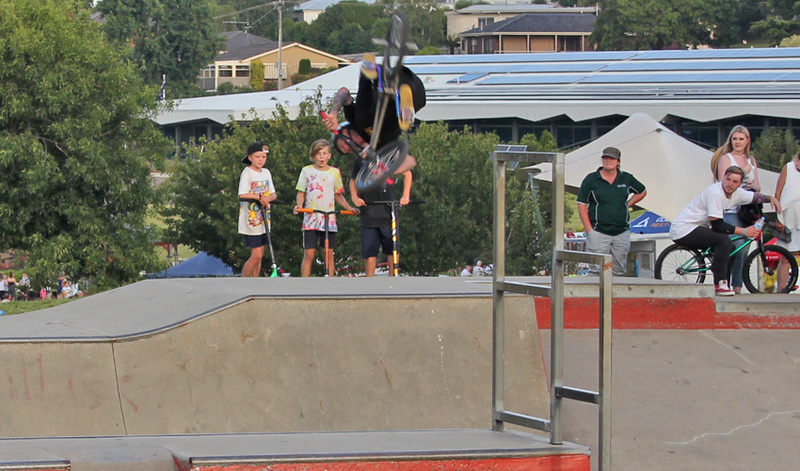 The Banksia Grove skatepark competition had lots of prizes to give out to the competitors in BMX, scooter and skateboard classes. When Freestyle Now hosts a skatepark competition we let the winners choose their own prizes from the prize products on offer. Then we let all competitors come up and pick their prize in order of placing until all the prizes are gone. In many cases even 10th place receives a prize. Scooter beginner – 1st Casey Spritling, 2nd Jake Crompton, 3rd William Percell, 4th Caylen Percell, 5th Jorja Cranberry, 6th Mac Gibson, 7th Asah Cranberry, 8th Xavier Furness, 9th Xavier Frost. Scooter intermediate – 1st Jarrod Loyid, 2nd Benjamin Capper, 3rd Lochie Morris, 4th Jakob Stockdale, 5th Jacob Rovsvell, 6th Jayden Hani, 7th Aden Morris. Scooter Open – 1st Tyler Jennings, 2nd Sam Num, 3rd Bailey McCormick, 4th Cameron Lindsay. Skateboard beginner – 1st Avier Furness. BMX beginner – 1st Campbell Wilson, 2nd Angus Lewis, Kacey Harrey, 4th Chris Walker. BMX intermediate – 1st Callum Sharpe, 2nd Jeremy Wilson, 3rd Taj Hamilton. BMX open – 1st Jay Roadley, 2nd Daniel Davis, 3rd Jack Carwardine 4th Nick Therealmorgs. 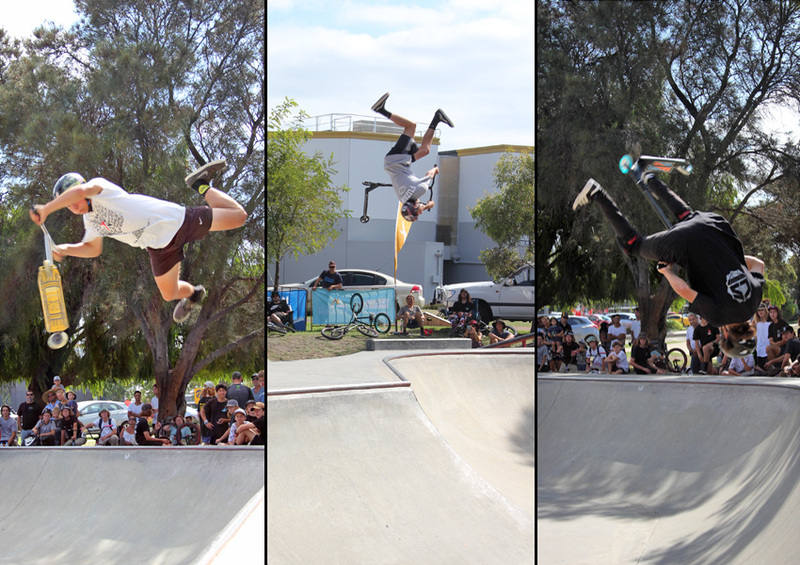 Round 6 of the 2018 Freestyle Now Western Australian skatepark competition series took place at the Bridgetown skatepark. It was great to have some good weather for the Bridgetown skatepark competition as in the past it rained on several occasions. It was a small but good turn out with many bmx riders making the journey down south to attend the competition and make a weekend of riding some of the south west skatepark. 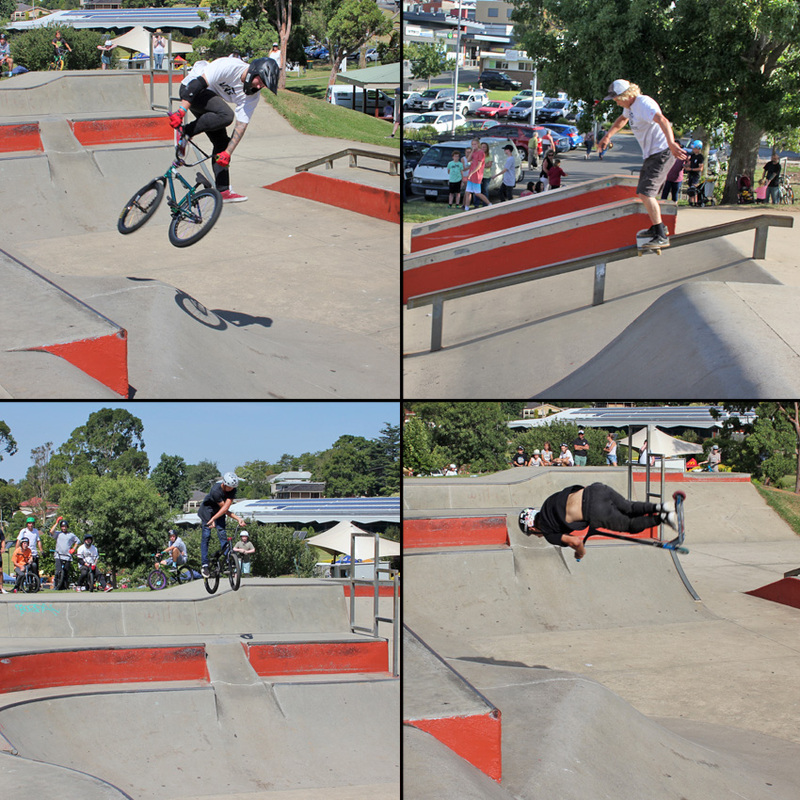 The competitors were all keen to show off their skills in the skatepark competition. With participants in scooter, skateboard and BMX the competition was a great success. The riding at the competition was as always off the hook with competitors pushing themselves to get their tricks done in the runs. A big thank you to the Shire of bridgetown–Greenbushes for their support and also to our supporters Kickass BMX, The 4 skateboard company, Modus Bearings, Grit scooter. Our next skatepark competition takes place on the 9th January 2019 at the Ellenbrook skatepark so be sure to check our coming events page for more info. The open bmx class final runs. BMX intermediate – 1st Jaxon May, 2nd James Hart, 3rd Ben Asa. 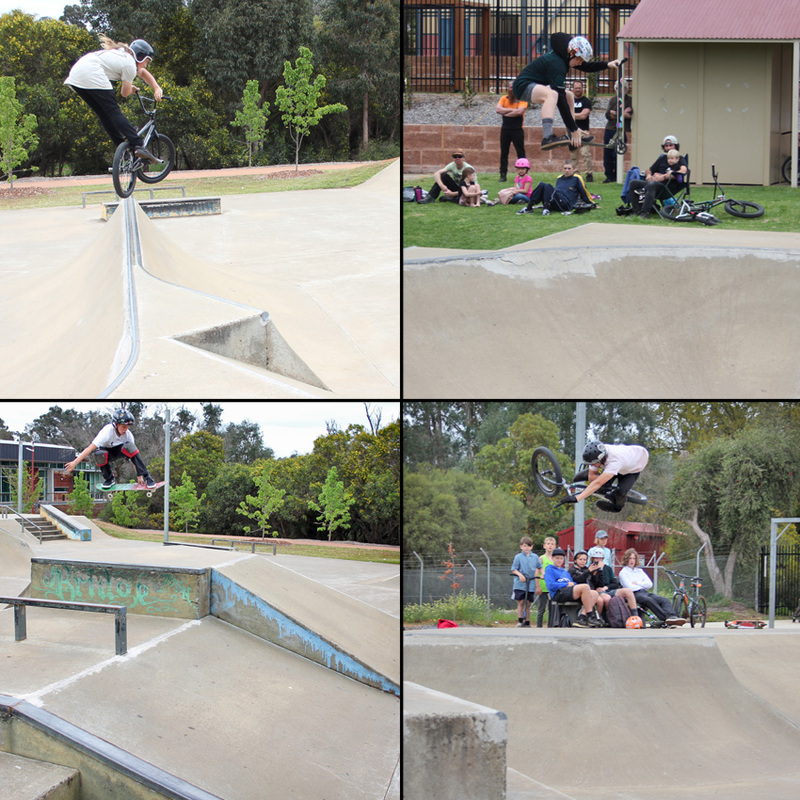 BMX open – 1st Nathan Dobbie, 2nd Jack Carwardine, 3rd Ben Gately, 4th John Graham, 5th Daniel Davis, 6th Fabio Canetti.